How to find and check Cash Balance in BDO Nomura? I know a lot of you have also been wondering where to find your available cash balance on your BDO Nomura account. The dashboard in this online trading platform does not display the Cash Balance right away after you log in like other trading platforms do. For first time users, the struggle seems real. I myself was wondering where to find stuff. But as go along the tabs and tools, you will get familiar using BDO Nomura better. To find your available fund balance, you have to dig a little further to your portfolio tab to find that magic amount. In this page, we are gonna discuss how to find that amount in 2 different and easy ways. Continue reading below. Log in to your BDO Nomura account. Use your BDO Online banking account username and password. You will need to provide OTP (One Time Password) as well so prepare your cellphone. On the Quote Screen Dashboard, search a symbol. Anything you want. In this example, I will be searching for MBT (Metrobank). 3. 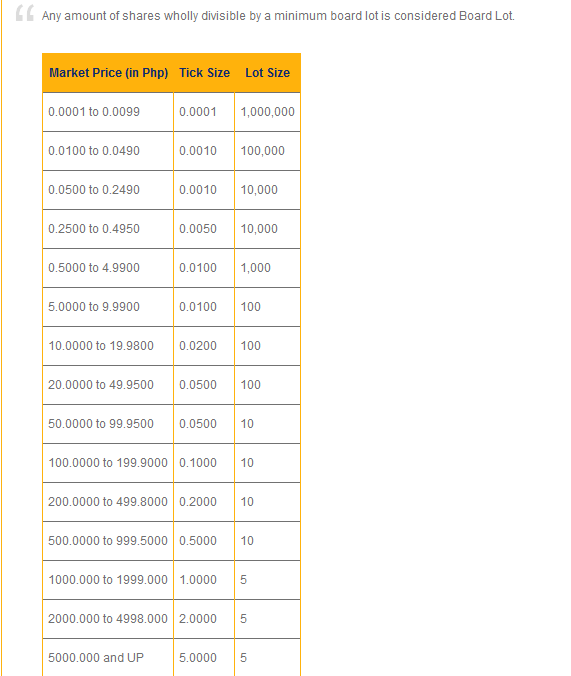 You will see at the bottom section, info about your chosen stock, in this case, MBT. Your Trading Limit will appear. Those are the two common ways to check out your available cash balance or available funds on your BDO Nomura online account. There may be other ways, too. Do you know another ways, why not share them below at the comments? Sharing will help more people. This post is part of the series we feature for BDO Nomura. Subscribe for free to receive latest posts on your email or follow us on Facebook if you haven’t done yet. Cheers! Whats the difference between Equities and Manual Portfolio? Thanks. Does any body know how to display Day Change Gain/Loss? hello po. newbie lang po ako sa bdonomura, last friday naglagay na ko ng balance sa nomura account, tapos kapapalit ko palang ngayong monday yung trading pin ko, bakit wala pa po sa portfolio ko yung nilagay ko po last friday? makacount po ba tomorrow yung balance dahil ngayon lang nag change pin? kakareceive lang kasi email from PSE. i have the same concern with IVAN, Ive transferred funds from my personal savings account to my BDO NOMURA acct number using the link BDO Send Money to any BDO acct (or the BDO online acct). The amount was deducted from my savings but the amount doesnt reflect on BDO nomura. Ive transferred the amount about 10am, its almost 3pm and the amount still doesnt reflect on nomura. pls help. thanks. Same with me how it happened.please any comments? I went to the bank just to make sure my money is safe, and the teller can see the amount but had to call BDO NOMURA customer service(using the banks phone), and was advised funds deposited on BDO NOMURA will reflect the following day. And it did. I just wish there’s a disclaimer or notification to avoid panic, there was an email notification about a successful transfer, but still it did not reflect anything about the amount that it will be available the next day. Anyway, i was able to trade the following day. I HAVE SAME CONCERN. I TRANSFERRED/ FUND BDO NOMURA ACCOUNT FRIDAY @ 2PM, IT WAS ALREADY MONDAY 8PM BUT STILL IT DOES NOT REFLECT IN MY NOMURA ACCOUNT AND I COULD NOT BUY STOCKS. HELLP!! I just opened BDO Nomura, can somebody help me what is the problem when buying stock then it will says INVALID Lot size?? What to do po? Hi! I’m newbie in using the BDO Nomura. I just transferred an amount to buy some stocks but my it didn’t reflect on my balance the amount I transferred on my trading account. Is there a cut-off time where your transferred amount will reflect on your portfolio? I transferred at 5PM. Hi! Sorry, I just review my inquiry and my words got mixed up. Re sending my inquiry. Hi! I’m newbie in using the BDO Nomura. I just transferred an amount to buy some stocks but it didn’t reflect on my trading account. Is there a cut-off time where your transferred amount will reflect in your portfolio? I transferred at 5PM. I Tried it many times the pin code from Psetradex, ayaw gumana. Pwede maka request ulit sa psetrdex? magbigay kaya cla? thanks for ur feedback. Hi everyone, Mag ask sana ng help about pin code from PSETRADEX. I change alredy with my new pin code kaso lang ayaw gumana. Mag buy na sana ako ng stocks pero ang mesage pin code not correct. Please I need your help bago lang po ako sa bisnis na ito. Thanks a lot of your effort & idea. GOD Bless. The pro’s of this platform for me is the easiness of funding and withrawing money in the account; and when you executed a trade you don’t need to always type password or PIN when you want to catch an opportunity of sudden fall or up of a price of an active stock.